NHAI Notification 2019.National Highways Authority of India has released a notification for the recruitment of Accounts Officer, Manager vacancies.Check the eligiblity and notification prior to apply for the positions. 1.Educational Qualification: Degree in Commerce/Accounts from a recognized university or ICAI/ICWAI/MBA (Finance) from a recognized University/Institute; OR Member of any organized Group-‘A’ Finance/Accounts related Service of the Central Government or of the State Government: And At least 4 years’ experience in Financial Accounting/Budgeting/Internal Audit/Contract Management/Fund Management/ Disbursement in Central Government or State Governments or Union Territories or Public Sector Undertakings or Semi Government or Statutory or Autonomous Organizations and other Governments Bodies. 4. OR with four years’ service in the grade rendered after appointment thereto on regular basis in posts in the Pay Band-2 (Rs.9300-34800) with Grade Pay Rs.4800/- (in CDA pattern) or equivalent in IDA pattern in the parent cadre/department; And Possessing the essential educational qualifications and essential experience stipulated in Column 3. 5. Period of Deputation: Initial period of deputation shall be 03 years, which may be extended for a period of 02 years with the approval of Chairman. Further extension in the period of deputation for another period of 2 years beyond 05 years shall be done with the approval of Ministry of Road Transport & Highways, subject to satisfactory performance. 1.Educational Qualification: Degree in Commerce/Accounts from a recognized university or ICAI/ICWAI/MBA (Finance) from a recognized University/Institute; OR Member of any organized Group-‘A’ Finance/Accounts related Services of the Central Government or of the State Government: And 4 years’ experience in the Pay Scale of Pay Band-3 (Rs. 15,600- 39,100) with Grade Pay Rs. 5400/- or equivalent or higher and have 4 years’ experience in Financial Accounting/Budgeting/Internal Audit/Contract Management/Fund Management/ Disbursement in an organization of repute. 4. OR with five years’ service in the grade rendered after appointment thereto on a regular basis in the posts in the Pay Band-3 (Rs.15600-39100) with Grade Pay Rs.5400/- (in CDA pattern) or equivalent in IDA pattern in the parent cadre/department; And Possessing the essential educational qualifications and experience stipulated in Column 3. 1. The Department/Organization concerned while forwarding the application should: (a) Enclose attested copies of Annual Confidential Reports for the last five years along with a discipline/vigilance clearance certifying that no penalty is imposed against the officer for last ten years, integrity certificate and no penalty certificate. (b) Certify that the particulars are given by the candidates in their application, regarding the details of educational qualification, relevant experience and pay particulars, etc. have been verified from the service records and are true, correct and complete for the post applied for. (c) certify the position/status of the candidate in the hierarchical structure of the organization along with respective grades and pay scales. 2. Candidates belonging to SC / ST / Minority Communities/ladies are especially welcome and should apply in large numbers. Other things being equal, persons with disabilities will be preferred even if the vacancy is not reserved for them. Candidates belonging to SC / ST / Minority Communities/ladies are especially welcome and should apply in large numbers. Other things being equal, persons with disabilities will be preferred even if the vacancy is not reserved for them. 3. Wherever the pre-revised pay scale(s) have been mentioned in the application, the corresponding revised pay scales should also be indicated. Similarly, wherever the revised pay scale(s) have been mentioned, the corresponding pre-revised pay scale(s) should also be indicated. Candidates working in PSUs should indicate the IDA Pay Scales. 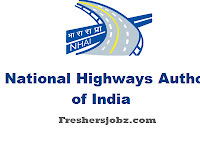 Equivalency of CDA vis-à-vis IDA Pay Scales adopted by NHAI is enclosed. 4. Canvassing or bringing influence in any form will disqualify the candidature. The advertisement can be withdrawn at any time at the discretion of the Competent Authority without assigning any reasons therefor. Crucial date for the determination of eligibility shall be the last date prescribed for the receipt of applications. Ajay Malik, DGM (HR&Admn. )-IB, Plot No: G – 5&6, Sector – 10 Dwarka, New Delhi – 110075. If a large number of applications are received, only those candidates who are shortlisted on the basis of qualifications, experience, tenure, and level of service in the relevant field shall be considered for selection. In case of selection on deputation basis, candidates who are more than 56 years of age as on the last date for receipt of applications need not to apply.